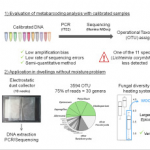 Our study aimed to evaluate metabarcoding and bioinformatic analysis resulting from calibrated samples and samples collected by an electrostatic dust collector (EDC) in dwellings with no moisture problems. 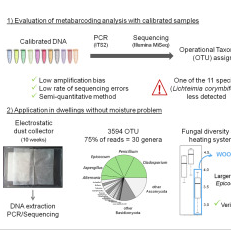 Thus, the fungal communities of 14 dwellings (eastern France, Franche-Comté region) were analyzed by Illumina MiSeq technology after amplification of the ITS2 region. To have a better understanding of fungal growth on gypsum building materials to prevent indoor fungal growth. (…) Indoor fungal growth is a potential threat to human health and causes damage to building materials. 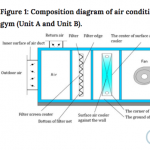 This study possibly helps in the application of the right type of gypsum in buildings. The presence of the fungal genus Chaetomium and its secondary metabolites in indoor environments is suspected to have a negative impact on human health and well-being. About 200 metabolites have been currently described from Chaetomium spp., but only the bioactive compound group, chaetoglobosins, have been screened for and thus detected in buildings. 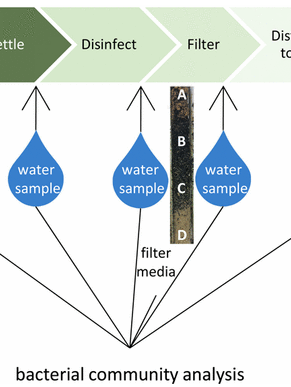 In this study, we used a liquid chromatography high-resolution mass spectrometry approach to screen both artificially and naturally infected building materials for all the Chaetomium metabolites described in the literature. 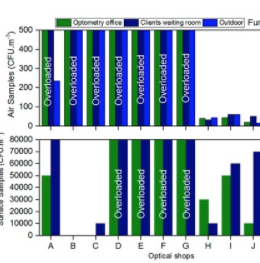 The aim of this work was to assess the microbiota (fungi and bacteria) and particulate matter in optical shops, contributing to a specific protocol to ensure a proper assessment. Air samples were collected through an impaction method. Surface and equipment swab samples were also collected side-by-side. (…) The bacteria air load was above the threshold in one of the 13 analysed shops. However, bacterial counts were detected in all sampled equipment. The microbial contamination of central air conditioning system is one of the important factors that affect the indoor air quality. 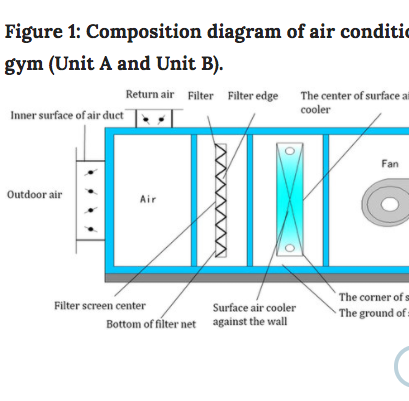 Actual measurement and analysis were carried out on microbial contamination in central air conditioning system at a venue in Dalian, China. (…) Results showed that the predominant fungus in air conditioning unit A and B were Candida spp. and Cladosporium spp., and two fungus were further used in the hygrothermal response experiment. The primary goal of this dissertation was to compare the various floor materials and their potential contribution to fate of environmental microbial contaminants. 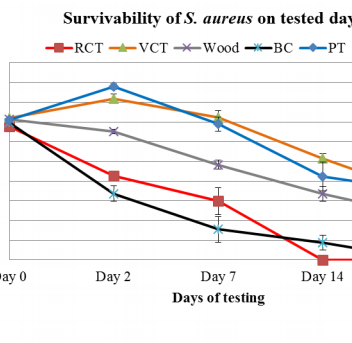 To achieve this goal, studies were designed to determine: a) the most efficient surface sampling method to estimate microbiological composition; b) Survivability of S. aureus and spores of A. niger on five common floor materials; c) Survivability of soil microbes on two common floor materials. and d) Bacterial microbiome analysis of floor samples in three buildings. 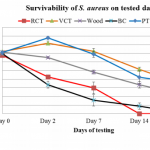 We conclude that active biofilters are unlikely to make hazardous contributions to indoor fungi; however, further work that documents the bioaerosol generation rate with variations in temperature, airflow, plant varieties, planting densities, maintenance schedule, age of plants, plant growth substrates and substrate moisture content need further elucidation. Buildings that have been flooded often have high concentrations of Trichoderma spores in the air while drying. Inhaled spores, spore and mycelial fragments contain large amounts of fungal glucan and natural products that contribute to the symptoms associated with indoor mold exposures. In this study, we considered both small molecules and peptaibol profiles of T. atroviride, T. koningiopsis, T. citrinoviride and T. harzianum strains obtained from damp buildings in Eastern Canada. (…) Therefore, we aimed to assess how the prevalence of allergic sensitization and asthma in schoolchildren is affected by microbiologic exposure within classrooms. (…) Although no causal relationships could be established, exposure to higher fungal diversity was protective against allergic sensitization but this was not seen for asthma. In contrast, higher exposure to Gram-negative endotoxins and Penicillium spp in primary school′s classrooms was associated with increasing odds of allergic sensitization in children. To develop a community-level understanding of how microorganisms colonize and move through the hospital environment, we characterized the bacterial dynamics among hospital surfaces, patients, and staff over the course of 1 year as a new hospital became operational. The bacteria in patient rooms, particularly on bedrails, consistently resembled the skin microbiota of the patient occupying the room. Bacterial communities on patients and room surfaces became increasingly similar over the course of a patient’s stay. Nosocomial infections (NIs) remain a global health burden with higher incidence in Africa. 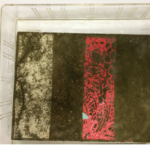 We assessed building conditions and risk of NIs from microbial contamination of appliances and surfaces in a Specialist hospital in Southwest Nigeria. The study sampled 120 surfaces in 12 wards during normal occupational activities. Moulds on ceilings and dusty surfaces were observed in the wards. The aim of this study was to determine the ratio of indoor to outdoor fungi concentration, the effect of population and people density on fungi concentration and the relationship between indoor and outdoor environment. 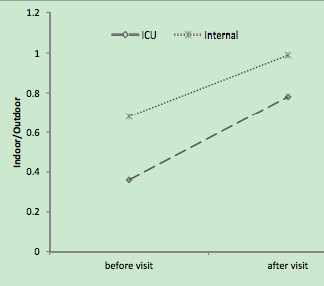 (…) Following the visit of the visitors, the concentration of fungi available indoor was conspicuously higher (even in the wards in which no visitors were allowed; e.g. ICU, etc). Hence the amount of indoor fungi was affected by the concentration of outdoor fungi and visitors crowd. 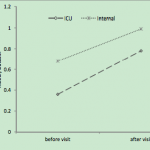 A cross-sectional study was conducted at Wolaita Sodo university teaching and referral Hospital. Indoor air samples were collected by using passive air sampling method. 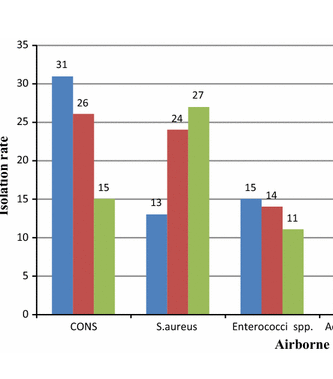 (…) Indoor environment of the hospital was contaminated with airborne microbiotas, which are common cause of post-surgical site infection in the study area. Bacterial isolates were highly resistant to commonly used antibiotics with high multi-drug resistance percentage. 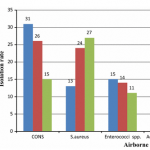 An urgent demand of assessing passengers’ exposure risks in airliner cabins was raised as commercial airliners are one of the major media that carrying and transmitting infectious disease worldwide. In this study, simulations were conducted using a Boeing 737 cabin model to study the transport characteristics of airborne droplets and the associated infection risks of passengers. (…) Particles released by passengers sitting next to the windows could travel much further than the others. 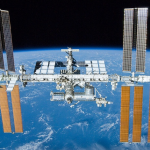 Russian scientists will suggest raising the hypthetical upper border of biosphere to 400 kilometers following the discovery of various microorganisms, including Barents Sea plankton and bacteria from Madagascar, in swabs taken from the surface of the International Space Station (ISS). 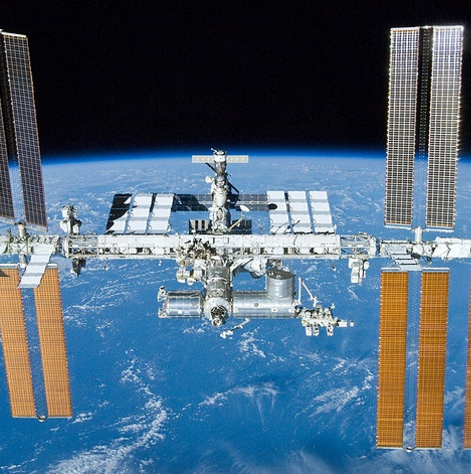 As part of the “Test” experiment, Russian cosmonauts took a total of 19 swabs from the outer cover of the ISS between 2010 and 2016. Hot water plumbing is an important conduit of microbes into the indoor environment and can increase risk of opportunistic pathogens (for example, Legionella pneumophila). 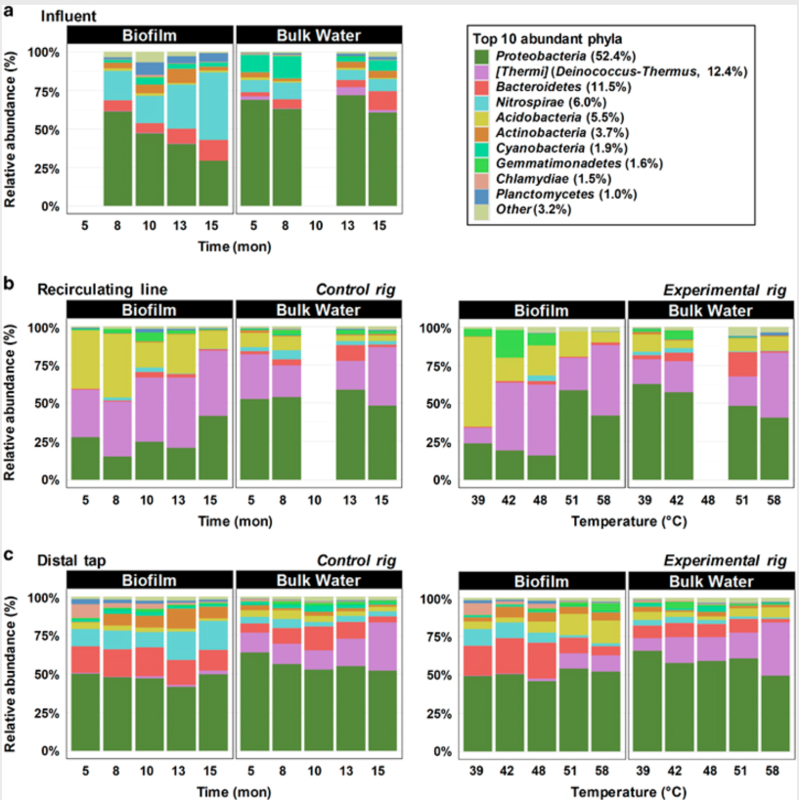 We examined the combined effects of water heater temperature, pipe orientation, and water use frequency on the microbial composition at the tap using a pilot-scale pipe rig. 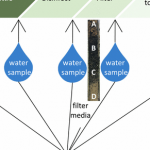 The two municipal drinking water systems of New Orleans, LA, U.S.A. were sampled to compare the microbiology of independent systems that treat the same surface water from the Mississippi River. To better understand temporal trends and sources of microbiology delivered to taps, these treatment plants and distribution systems were subjected to source-to-tap sampling over four years. 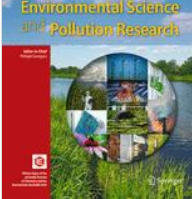 This study aimed to investigate the variation of microbial communities and functional genes during the biofilm formation in raw water distribution systems without prechlorination and associated effects on the transformation of nitrogen pollutants by using a designed model pipe system. 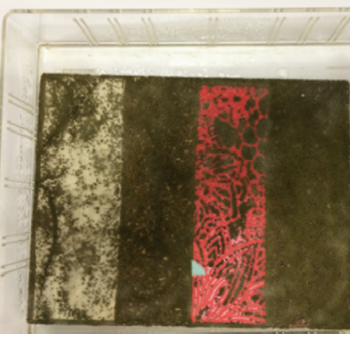 The results showed the transformation of nitrogen pollutants was obvious during the biofilm formation. Exposure to bioaerosols can pose a health risk to workers at wastewater treatment plants (WWTPs) and to habitants of their surroundings. 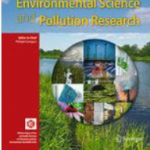 The main objective of this study was to examine the presence of harmful microorganisms in the air emission from a new type of hospital WWTP employing advanced wastewater treatment technologies. In this review, we summarize recent findings about microbial physiology, metabolism and ecology and describe how microbes can be exploited to create improved biotechnological solutions to clean up marine surface and deep waters, sediments and beaches.